You can count on us and our expertise with EU deliveries. Austria, Belgium, Bulgaria, Croatia, the Czech Republic, Denmark, Estonia, Finland, France, Great Britain, Greece (mainland and Crete), Hungary, Italy, Latvia, Lithuania, Luxembourg, the Netherlands, Poland, Portugal, Spain, and Sweden. Please note that this includes the Canary Islands, one of the outermost regions of the European Union (OMR). Despite forming part of Spain, the Canaries are not part of the European Union VAT area, so special export procedures apply. Don't hesitate to contact us if you reside in an OMR. 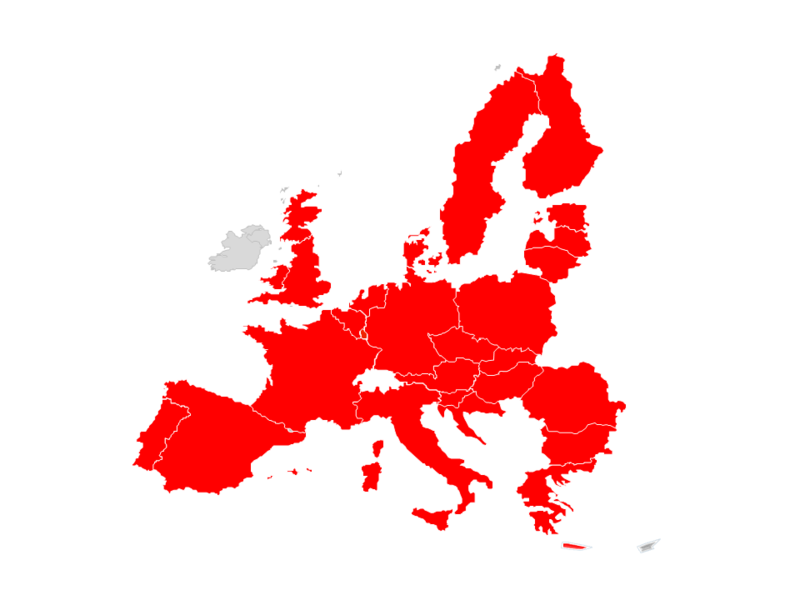 Only Cyprus, the Republic of Ireland, and Northern Ireland have not been coloured in on our EU map - yet. VAT is payable in the country where a vehicle is purchased, so when you purchase a car from us at Autohaus Wenzel GmbH, VAT is payable in Germany, at the standard German rate which may vary from that in other member states of the EU. Together with all the vehicle documents we will provide you with the necessary COC, the Certificate of Conformity. We'll also be able to provide temporary registration plates, valid internationally for up to four weeks from the date of purchase. We will happily sort out all customs and other export requirements for you, including transportation, or help you fulfil the necessary.